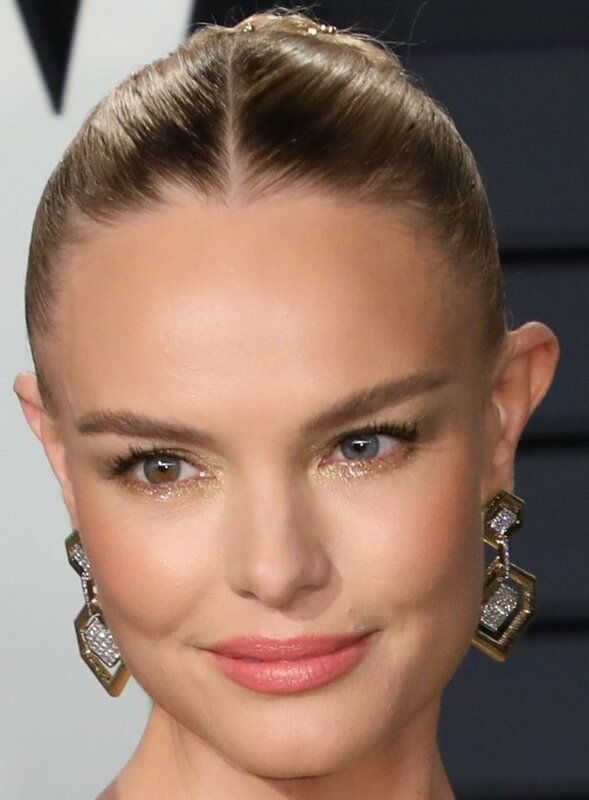 Having the same eye condition as Mila Kunis, Kate Bosworth has two different colored eyes. She has one blue eye (left) and one eye that is both hazel and blue (right). The medical condition is called heterochromia, meaning that the iris (the colored part of the eye) is multicolored. It’s easy to see that Kate’s eyes are noticeably different in pigmentation. The American actress and model showed off her two different colored eyes at the 2019 Vanity Fair Oscar Party at the Wallis Annenberg Center for the Performing Arts in Beverly Hills, California. She donned a gorgeous dress from Vietnamese fashion designer Nguyen Cong Tri, Jimmy Choo “Minny” shoes, and David Webb jewelry. The Blue Crush actress also walked the carpet at the 2019 Women in Film Oscar Party in a Max Mara Pre-Fall 2019 suit and Mizuki jewelry.